A rough one from a member of the audience for now; professional videos to follow…. 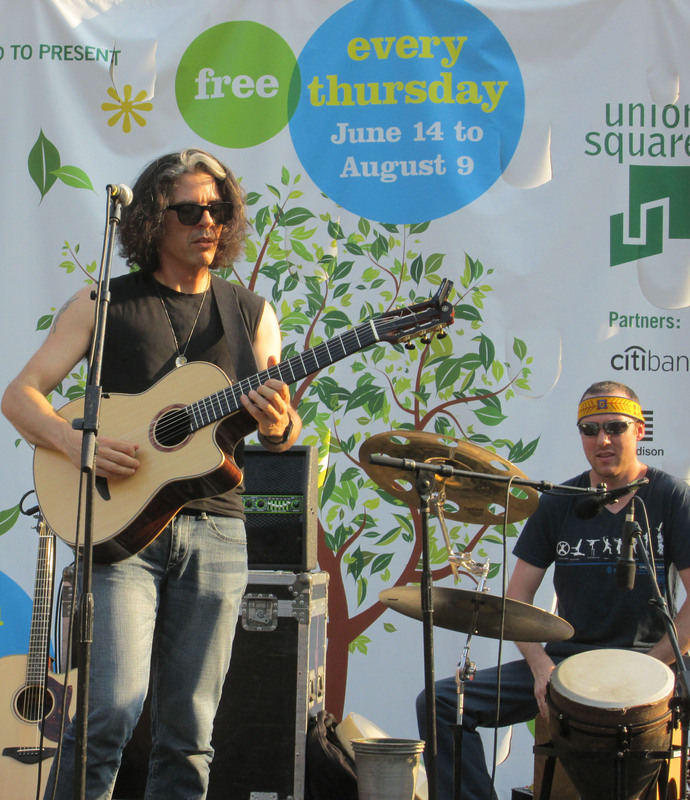 Join us today at 4:00 p.m. at Union Square, in the heart of New York City, as we start our first global-musical journey with the sounds of the guitar, santoor, violin, drums and much more! Planetary Coalition performs at 6:00 p.m. sharp. See you there! 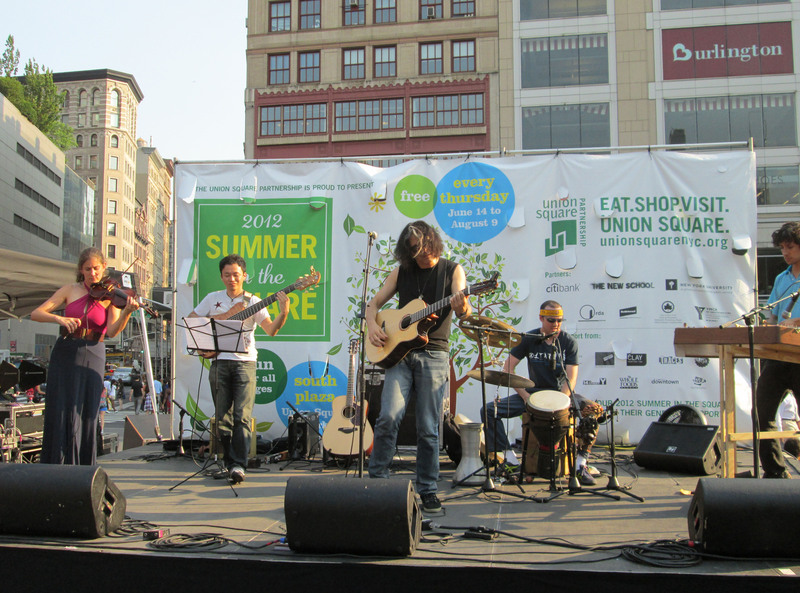 In association with Make Music NY, New York’s largest free outdoor music festival, Guitar Worldand NYC Guitar School are hosting Mass Appeal: Guitars on June 21. 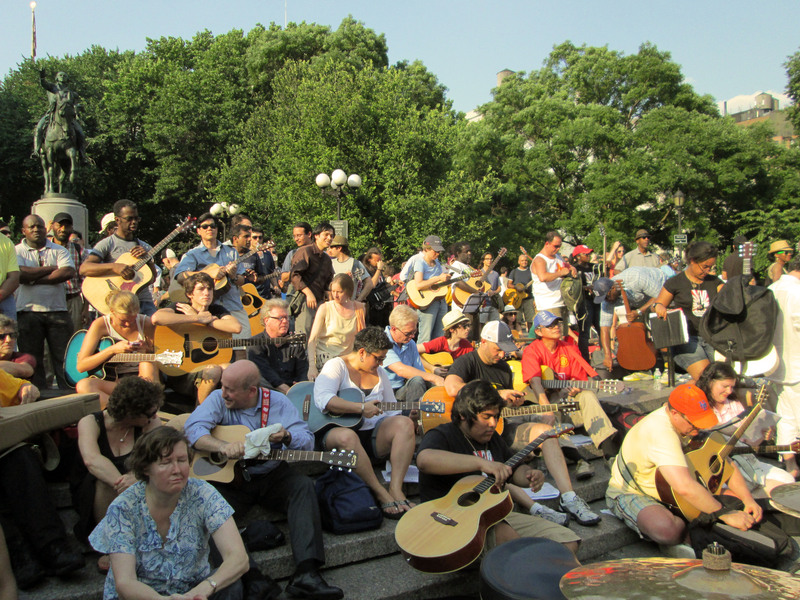 Players of all ages, styles and skill levels are invited to join a massive ensemble of guitarists in Union Square to collectively play pre-selected songs. 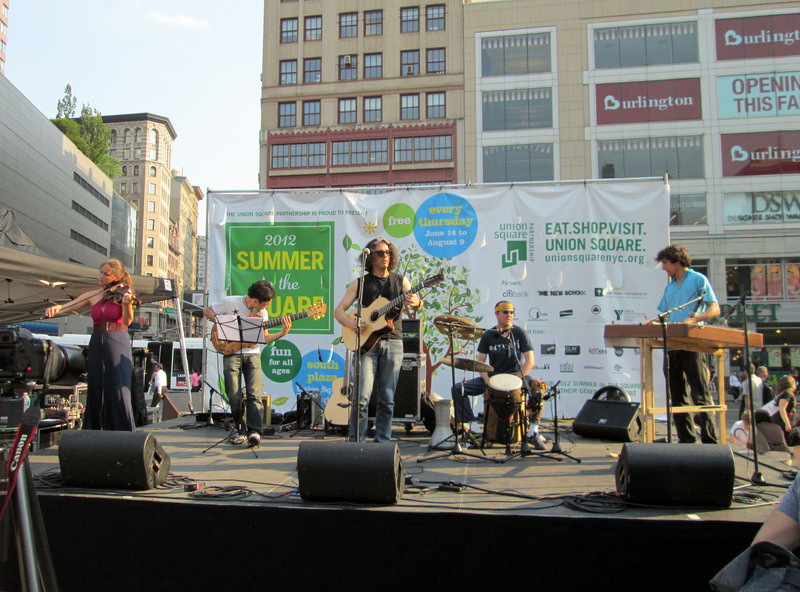 The festivities begin 4 p.m. in Union Square with mini-practice sessions and booths by event sponsors, including Guitar World, NYC Guitar School, Lagunitas Brewery, Agile Partners (AmpKit, GuitarToolkit), La Bella Strings, Marshall Headphones and more. Live music will be provided by The Spanish Channel, a New York City band. Mark Feldmen of Bang The Drum will perform percussion for the play-along. Following the first six songs, guitarist Alex Skolnick of Testament and the Alex Skolnick Trio will be joined by some of his favorite New York-based musicians to premier his new world music project, Planetary Coalition. Skolnick will conclude the play-along with “Smoke On the Water” by Deep Purple. For more information, song charts and instructional videos, visit meetup.com.